Prince Charles turns 70 next week, and to celebrate we’ll be seeing lots of documentaries about him – including this one, which he’s unlikely to want us to watch. And to celebrate the royal’s birthday, Prince William and Prince Harry have decided to open up about their father in an interview with The Telegraph‘s royal correspondent Hannah Furness. All eyes have been on Harry and Meghan Markle following the announcement that they are expecting their first child in the Spring, and others have been interested in the work that William and Kate Middleton have been doing back at home while the couple have been on tour. However it’s now time to focus our attention on the future king as he prepares to reach this milestone. 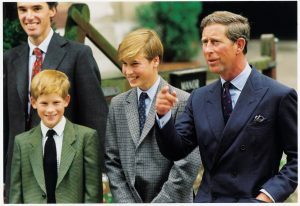 The two princes revealed what Charles was really like while they were growing up, and also shared a secret habit that they have both picked up from him. That’s right. Prince Charles, who recently gave a touching speech about the effect of plastic pollution on future generations, encouraged the boys to pick up litter when they were children – and they’ve been doing it ever since. William went on to reveal that they would clean up the planet as a pastime. 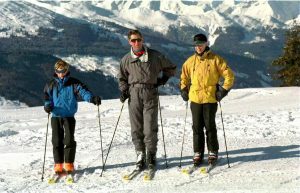 ‘He took us litter picking when we were younger,’ the Duke of Cambridge said. The post This is the unusual habit William and Harry picked up from Charles appeared first on Marie Claire.